Kelly Barnhill takes a 70-8 career record and 0.92 ERA into her senior season at Florida. Imagine one of the most heralded pitching recruits in years. Start to fill in her résumé. Imagine that this girl with the golden arm was selected for Team USA before she ever threw a pitch as a collegian. That she was an immediate success for one of the biggest programs in softball's most competitive conferences. That she only got better from there. She put up statistics that looked like throwbacks to a bygone era, not to mention bygone ERAs. She was the national player of the year as a sophomore and a finalist as a junior. She spent the summer helping the United States win a world title and qualify for the 2020 Olympics. 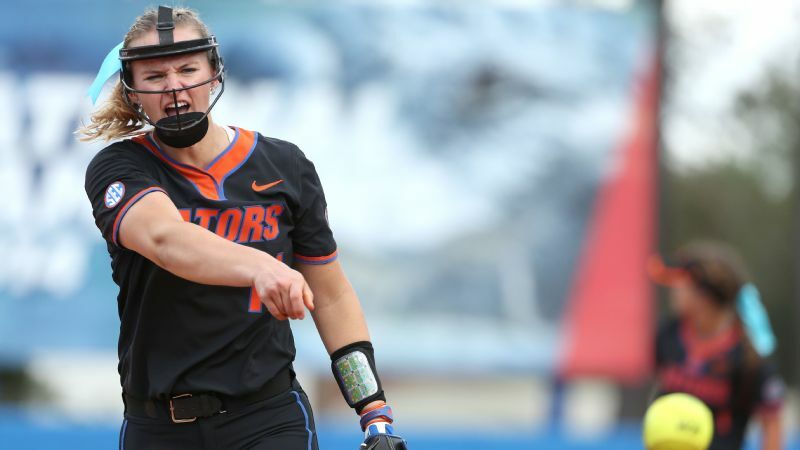 Now imagine that Kelly Barnhill, despite living every bit of that in her first three seasons at the University of Florida, casts herself in still one more role this season. "You get to be the underdog now," Barnhill said. "Everyone loves a good underdog story." Finally, consider that against abundant evidence to the contrary, her calling herself an "underdog" sounds believable. Kelly Barnhill is the best pitcher in college softball at this moment and one of the best in the history of the sport at that level. That is objective fact. Despite pitching in the conference that produced 25 of the 48 NCAA tournament seeds the past three seasons, she enters 2019 with a 70-8 career record and 0.92 ERA. The active pitcher with even two seasons of experience who is closest in ERA is still half a run worse than Barnhill. She strikes out 11.52 batters per seven innings. No other pitcher is in double digits. I've never not made a team before. I've never tried out for anything, even applied for something academically, and not gotten it. Yet for all she's accomplished, Barnhill enters this season defined by the few remaining things she has not. She has not won a national championship at Florida, the juggernaut that won back-to-back titles just before her arrival. She is no longer part of Team USA, left off the 2019 roster despite the world championship and Olympic qualification last summer. And what stands in the way is her own ability to let herself be something less than perfect. "There's one little ingredient that's still missing for Kelly Barnhill to be the next-level Olympian or the next-level national champion," Florida coach Tim Walton said. "That's the next step. I truly believe there's only one person who can take Kelly Barnhill to another level. And that's Kelly Barnhill." There is no better example of that struggle than the kind of inning that seemingly could only happen to Barnhill. Florida led UCLA 4-0 entering the fourth inning of the World Series, 12 outs from a commanding position as one of two unbeaten semifinalists. Barnhill had struck out the side in the top of the first inning. She did it again in the second inning. She struck out the first two batters of the third inning and retired the side in order. UCLA only managed one hit against her in the fourth inning, for that matter. Not that such scarcity mattered. The Bruins scored five runs in that inning. The leadoff batter reached on Barnhill's throwing error. 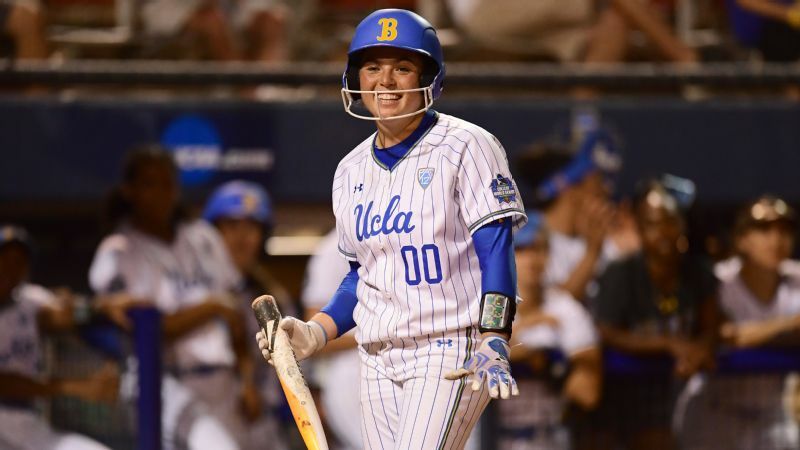 Barnhill then hit a batter, threw a wild pitch and walked two more Bruins, all before giving up the grand slam that put UCLA in the lead for good. It was no contest when it was Barnhill versus the Bruins. It was all over when it was Barnhill versus Barnhill, when one mistake triggered more. "You have to focus on the next pitch, you can't worry about what just happened," Barnhill said of what she did wrong. "You can't let your mind wander and start thinking about the result. It's about the process. ... Those are red thoughts, and you want to turn those to green, like 'No one can beat my best pitch.' You have to flip that conversation in your mind." 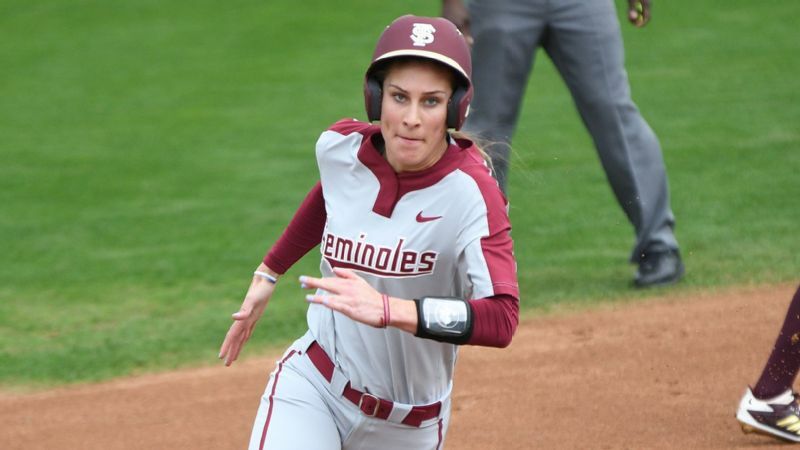 She gleaned those lessons from the sports psychologist who works with the Florida team and from new pitching coach Mike Bosch, who gave up the head-coaching position at Syracuse to coach the pitchers at one of the sport's premier programs. She learned, too, from another summer with the national team. She learned from being around someone like Monica Abbott, who had her own share of disappointments in Oklahoma City as a collegian before emerging as one of the greatest champions of all time in professional leagues in this country and Japan. "I wish I knew then more what I know now," Barnhill said. Kelly Barnhill, who chose Florida over Stanford, understands that her tendency to overthink things can make a minor mistake balloon into something bigger. But it can be easier to accumulate knowledge than to put it into practice. Barnhill's college choice came down to Florida or Stanford, and there is every indication she would have fit right in among the famed academic culture of that California school. 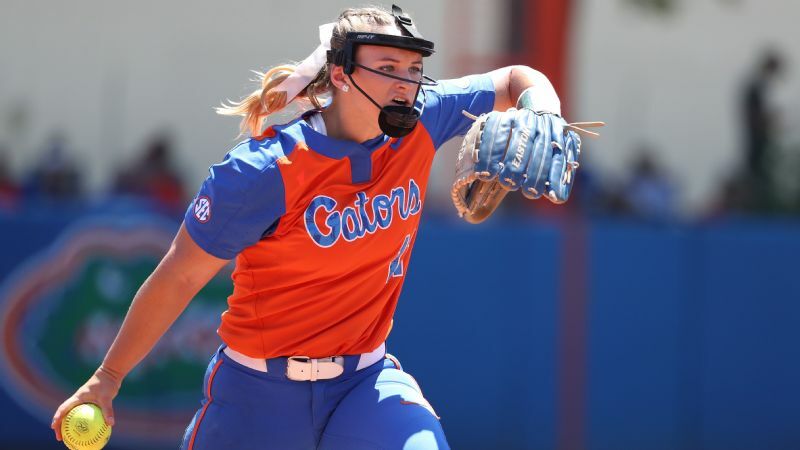 At Florida, she wasn't just an academic honoree in 2018 but the NCAA Division I Academic All-American of the Year in softball, as awarded by the College Sports Information Directors of America. It is sometimes a lot easier to coach a kid who just plays than a kid who thinks about playing. "It is sometimes a lot easier to coach a kid who just plays than a kid who thinks about playing," Walton said. "When you look at Kelly's GPA, and you look at what she has accomplished in the classroom, sometimes [the same qualities responsible for that success] could potentially get in her way in regards to how she competes. Because she is so cerebral, she is so smart. She wants to know how to fix something before it even becomes an issue." The issues that arise most often are not unique to her. Barnhill isn't the first great softball pitcher to struggle with throws to first base. Accounting for the increase in home runs nationally, she gives up home runs at only a slightly greater rate than Abbott did at Tennessee, with home runs an inevitable Achilles heel for a pitcher with a rise ball. The hop that results in illegal pitch calls in college isn't illegal when she pitches internationally. Any of those flaws can be manageable in isolation. It's when her mind dwells on the imperfection that they can fester, like the times she wants to throw the same pitch over and over again in a bullpen session until it moves exactly likes she envisions. Until it is perfect. Never mind that good enough is plenty to make most batters look foolish. She often calls on the movie "Bull Durham" to make the same point as Walton, citing the line when veteran Crash Davis instructs pitching phenomenon Nuke LaLoosh not to think because it will only hurt the team. "Any time I get in trouble," she admitted, "it's generally because I'm overthinking." It is again worth repeating how rarely she gets into trouble, how few pitchers in the history of college softball got in trouble less often than someone who threw five no-hitters last season. 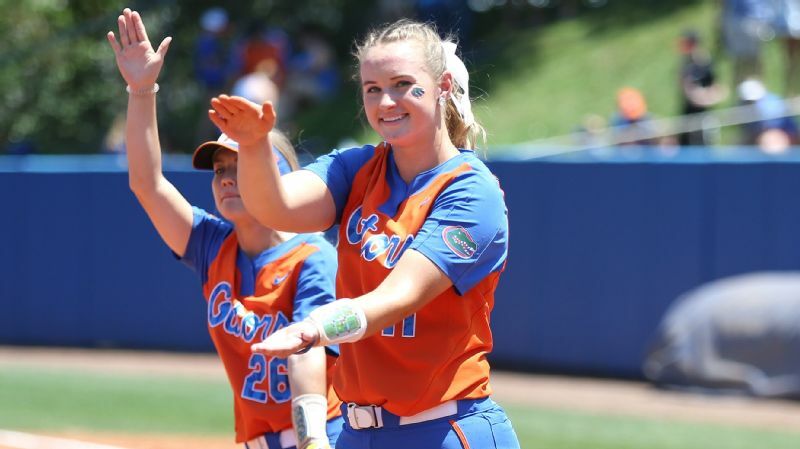 Kelly Barnhill branched out beyond the Gators athletic community and joined a sorority for her senior year. Growing up in Georgia, Barnhill wrote out a list of life goals as she entered high school. She wanted to win an NCAA championship. She wanted to pitch in the Olympics. She might not have a chance to achieve those goals if not for her perfectionist streak, which makes it that much more difficult to embrace the idea that imperfections are inevitable. She's trying to learn, she said, to just play the game. Walton, more colloquially, called it the "F it mentality" of letting go of failure. That can't happen if you define your identity by what happens in the circle. "I think there was definitely a point in time when I did that -- even some days now I do that," Barnhill said. 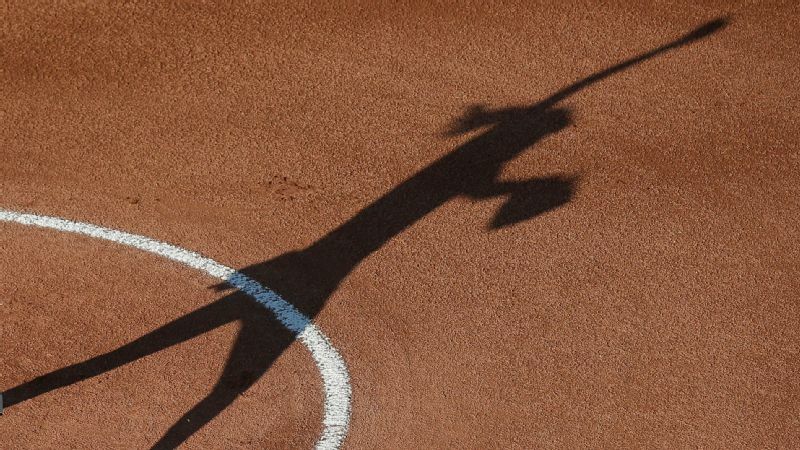 "But you've really got to stay focused on, 'I'm more than just a softball player; I'm more than just a pitcher.' My success in that doesn't define me as a person. "Especially this year, I started really trying to figure out who I was outside of softball." She said she wants to enjoy her remaining time with her college teammates. But more than that, she realized she didn't know many people beyond the bubble of the school's athletic community. So as a senior, she joined a sorority for the first time. She didn't have to go through rush because she became one of founding members of a new chapter of Alpha Phi, but it was a step toward branching out and being someone more than a pitcher. That sense of self was tested again in January. 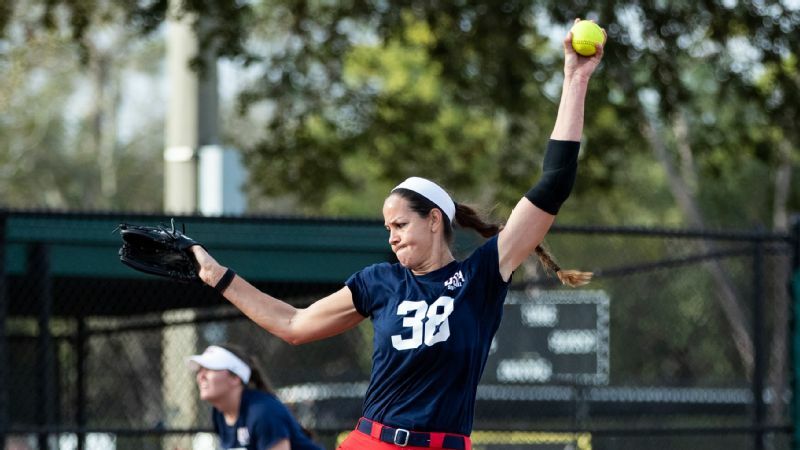 Part of back-to-back world champions in 2016 and 2018, Barnhill was not among the pitchers selected for the 2019 Team USA roster. Abbott and Cat Osterman's international returns in successive years made the competition for pitching spots fiercer. Ally Carda, Rachel Garcia and Keilani Ricketts, all players who can both pitch and hit, joined Abbott and Osterman on the roster. "I've never not made a team before," Barnhill said. "I've never tried out for anything, even applied for something academically, and not gotten it." The news devastated her. There will be another chance to make the 2020 roster, either next fall or winter, but the 2019 team is likely to form the backbone of the Olympic team. She will be, as she cast herself, the underdog. For now, despite a likely opportunity to start an exhibition for the Gators against the Japanese national team next week in the first game in Florida's renovated stadium, her focus is on the college season and one more opportunity to win a national championship. One more chance to accomplish what she wants. One more opportunity to not let it define her. It's a delicate balance. "I understand who I am more and what I want and what I'm willing to work for," Barnhill said. "I've been through that adversity, I've seen that moment and I don't want that to happen again, so I'm going to work hard and I'm going to learn from that." The hardest lesson for a pitcher who comes so close is that perfection is impossible. It may be all that stands in the way of Barnhill being the best.